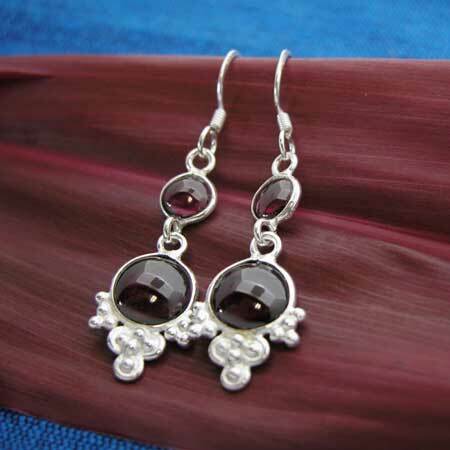 Bezel set two stone sterling silver ear wire with garnet and filigree detail. Measures about 1-1/2" tall, including silver earwire. Handmade wholesale sterling silver jewelry from India. Necklace with oval stones set with wire bezel.